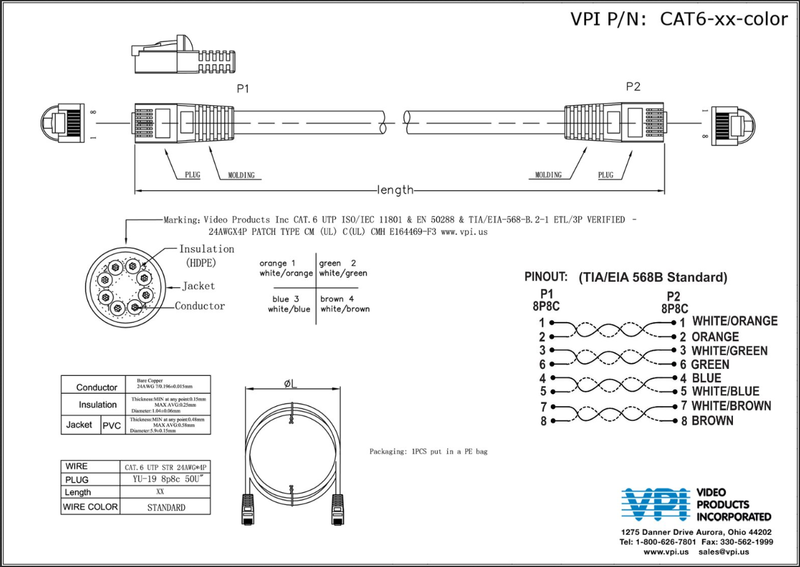 VPI's VPCAT™ CAT6 Cable is used in network applications such as 10Base-T, 100Base-T, 1000Base-T Ethernet technology to 100 meters (328 feet), and have been designed specifically for Gigabit Ethernet applications (Gigabit over copper). They perform at high-data transfer rates, and work with ATM and gigabit speed products. These cables deliver improved performance over standard Cat5e cables. 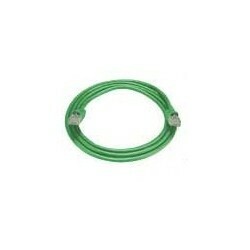 This is the newest fully-approved system-standard Cat6 Unshielded Twisted Pair (UTP) cable. Cat 6 is completely backward-compatible with current Cat5e equipment. 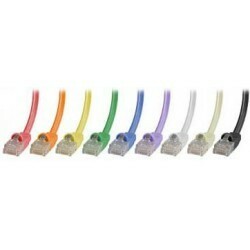 Our Cat 6 Cables are composed of 4 pairs 24 AWG stranded conductors with PVC jackets. Conductors are wired to gold plated RJ45 plugs in accordance with the TIA/EIA 568B standard (Telephone Industry Association/Electronics Industry Association.) Available in nine colors. Boots match cable color. Custom modular cable assemblies are available. Category 6 UTP cable wired straight through. 24 AWG, gold plated 8x8 (RJ45) plugs.